We are a youth baseball organization for players 12 - 16 years of age. There are two divisions of play: PONY and Colt. PONY is an acronym, which stands for Protect Our Nation's Youth. PONY Baseball and Softball is dedicated to creating a safety first/ fundamentally sound and challenging game for children of all ages. With field sizes and dimensions best suited to appropriate age play and rules designed to allow each charter their own ability to create the best style of baseball and softball tailored to your own community's needs. PONY also takes it a step further requiring children to participate in divisions with kids of the same age. Players age 12-14 play in the Pony Division. PONY Level Baseball also offers a (And Under) program to accommodate those players who wish to play up a level. PONY: For players aged 12 to 14. PONY has both a Fall season and a Spring Season. Fall program focuses on instructing players new to PONY to longer base lengths (80'), longer pitching distance (54'), balks, and leads to name a few of the differences with Little League. And for the experienced players an opportunity to improve their skill. 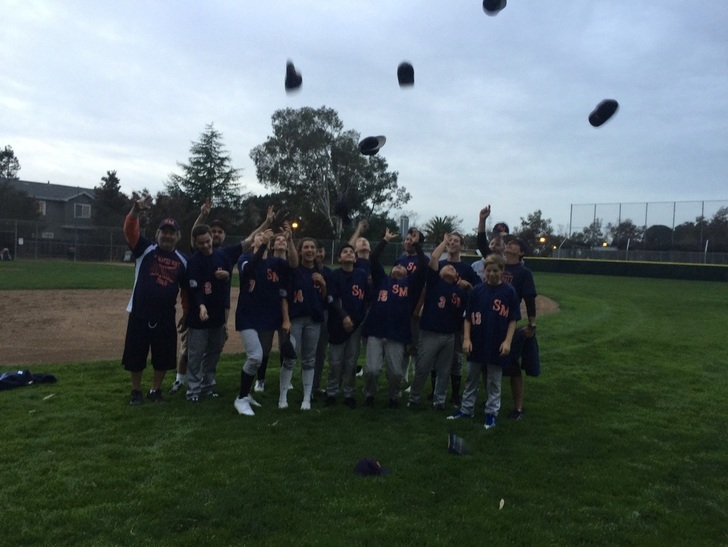 Fall Season culminates with a Peninsula Tournament giving players a chance to show those new developed skills in competitive play. Our Spring program is our competitive league youth baseball with again emphasis on teaching the game of baseball for all youth who wish to play. Teams are determined by player positions and ability so that teams are competitive and conducive to equal playing time.